If one had to sum up the music of For Greater Glory in one word, it would be a name. In Latin, Clara means shiny, or glorious, and these two adjectives perfectly suit James Horner's latest album. But this word also refers to a wonderful person who kindly accepted this interview, a year ago, and had never forgotten about us since then. 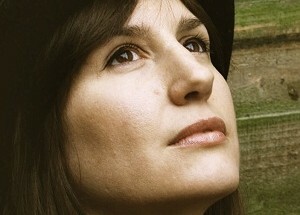 A very accessible and pleasant person, Clara Sanabras takes time to go back on this collaboration which, just like the collaboration with Rahat Nusrat Fateh Ali Khan, is a real landmark event in James Horner's achievements. 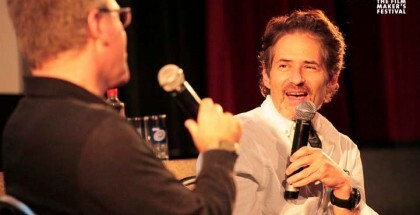 How did you meet James Horner and how did you get involved in this music? Did you know his work before? I have known his work thanks to the success of Titanic, of course. 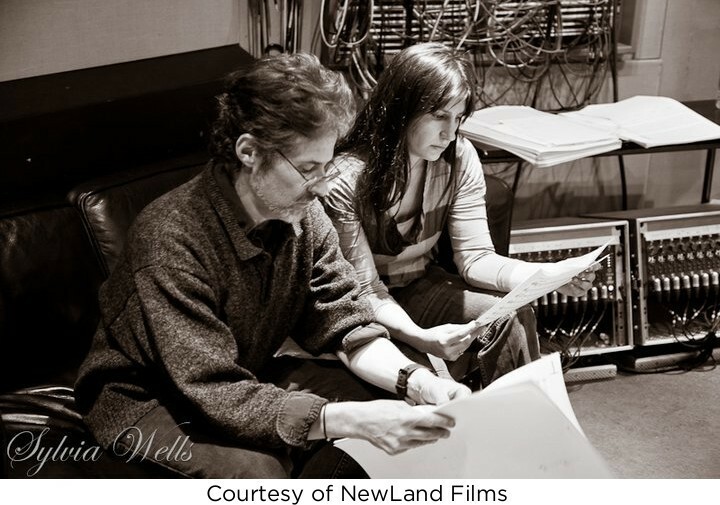 This year, I’ve been singing in a London ensemble named London Voices, the director of which advised James Horner to work with me on For Greater Glory, because he was looking for a Spanish speaking singer. This was how we met. Why did he choose you, in your opinion? I guess there are a lot of pop bands/singers in London, but in this case he needed a singer with a classical background, who could sing in a more natural, kind of folk way, and that's exactly what I'm good at. I think this is the reason why someone told him about me and the reason why he finally chose me. Charlotte Church, Sissel, Annie Lennox, Lisbeth Scott or Hayley Westenra… and now you. 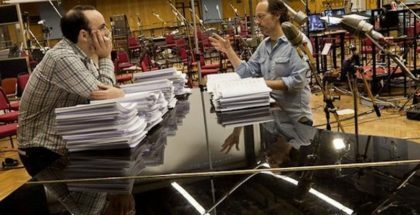 How does someone feel when they are chosen by a composer like James Horner, who has already worked with such great singers? That was obviously fantastic. The first time I talked to him was on the phone. He called me a week before the recording sessions to tell me what he wanted. He told me “Above all, I want you to sing spontaneously, straight from your heart”. That really amazed me, because usually, when you are recording film music, you have to sing with a style that goes along with what is happening in the scene. But this time he simply told me: “Come, have a try, and we'll see if it works well". He gave me very few directions, and told me to sing the way I usually do. And everything went well after this. But did James Horner give you specific directions, before recording or while you were working? What feelings and emotions did he ask you to convey with your voice? While listening to the song, he confided he had written a short poem, which someone had translated into Spanish. The poem went “Between the Sky and the Earth, between light and dark, between Faith and Sin, there's only my heart; just God and my heart”. He then suggested I should create my own interpretation from these words. At first, he asked me to sing with a lot of air in my voice, a lot of breathing. Then he whispered to me “Sing this the way you would sing it”. I ended up singing without having to think at all, as if it had been written for me. We often wonder about the words he uses to pass his vision on to musicians and singers. Can you tell us more about the way he does it? With much generosity and patience. I know, from my own experience in film music sessions, that they are very expensive, and that everybody is trying to hurry. When you get there, you would be told “Sing, Now”. So I arrived and just asked “How do you want me to sing? Shall we begin right now?”. And so he told me: “No, no. Make yourself at ease. Sit down, have a glass of water. Then we'll have a look at the song, and I'll play the chords for you”. And as we were watching the song and he was asking me to take it easy, two hours went by. I started singing, and we only began recording after two hours of the first session. Each time I would make a mistake, he would tell me “Don't worry, we'll do it all again”. It was fantastic. James is an exceptional person. In the scene where José has to walk with his feet bleeding (José’s Martyrdom) your voice seems to move very easily from solemnity to lightness. Was this difficult to achieve this? To be honest, I don't remember changing my voice. 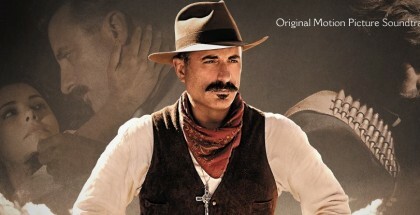 I haven't been able to see the film yet, because it hasn't been released in Europe for the moment. I remember this very harsh scene in which he is carried to a pit. I remember viewing it only once, and singing with this memory in my head. The following week, we had a session with the complete choir, where the scene was shown with only my voice and then with the full choir. Carried away by the emotions she felt during this scene with the song and the choir, one member of the choir even fainted. It was a very intense scene. 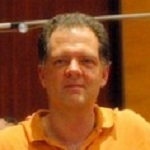 Was it particularly difficult to record along with a symphony orchestra? Once the orchestral part was finished, I recorded the first session by myself, and I was supposed to come back a week later. But they called me the very next day to tell me “James is having a session with the orchestra, and he says it's not working without you. Can you come here right now?” I was in the street and I had to stop everything I was doing to go back to the studio. 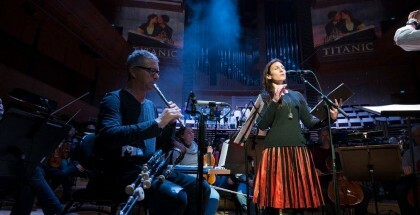 Then we recorded the main song live, with the orchestra. This is really unusual, because it all depends on the production's budget, and so in general, everything is done as quickly as possible. I think James is one of the rare composers who are still working the old way, persisting in playing the music live with the film, without hurrying. I don't think this is going to happen to me ever again. When I arrived at the studio, the orchestra was complete, and had just had an hour of rest waiting for me. We then started playing together. It was a unique and moving moment. An essential part of the emotional power of this music is concentrated within your voice, it communicates the faith and spirit of self-sacrifice in front of barbarism, it glides from hope to death without ever losing its energy and determination, just like the characters do. How does anyone get filled with such responsibility? Thanks to your experience of life. I am a very normal person, I love the real world, and I always try to keep in touch with it, with the good feelings as much as I accept sadness. Lots of people are unable to accept it, to speak about it, or to cry… On the contrary, I have always thought this feeling was very important, because, for example, sadness and melancholy are very often used in music. I am sure James himself uses them when he composes. You were born in France, you grew up in Barcelona, and you now live in London. What made you want to settle there? Was it because of your musical career? My parents are Spanish musicians; they worked in France in the “Rouen Chamber Orchestra” when I was born. Soon after this, we went back to Barcelona. I studied in the Lycée Français there, which allowed me to keep in touch with French culture. When I turned 18, I decided to go to London to study music, since in Spain at the time, people had a rather closed mentality about the way I wanted to explore: they thought if you wanted to become a musician or a singer, you could only do it in an Opera House. I rapidly understood that there was no future for me in Spain. So I went to London, because it's a city where you always face lots of variety and opportunities… I had many great times there as a musician. Professionals can be harsh sometimes, but if you are talented, they will give you opportunities to reach success, without sending you to dead-ends. I've been very lucky. 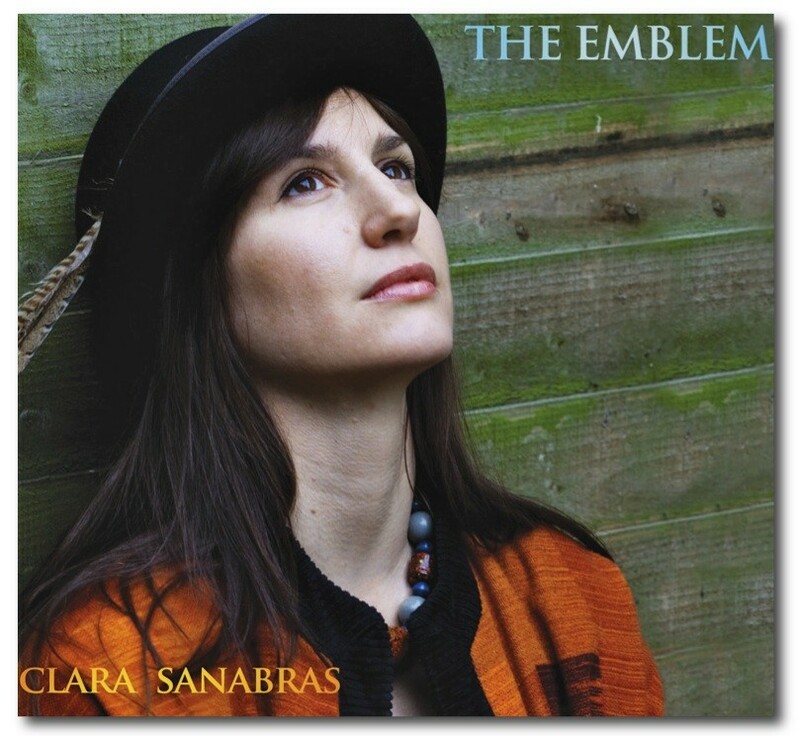 The Emblem, your latest album of January 2012, contains a great diversity of influences. Could we say that this album is a picture of you? Exactly. Sometimes, the press can become quite frustrated because they can't classify you in only one precise category. I have always been trying to do things which really are the mirror of who I am. People no longer come from only one place, because we travel so much that we are influenced by all the different places and cultures. Through my work, I am trying to show the things I've learnt with all the musicians I've met from various places. Are you planning to record an album in Spanish? Indeed, I finished recording my lastest album just yesterday. It is about the Spanish Exile. I don't know when it is to be released yet. It's not only about the exile caused by the Spanish Civil War, but also about the exile during the 15th century, when Jews and Arabs were sent out of Spain. It contains two songs written in Sephardic Jewish, three poems written in Catalan, and some other songs I've written: four in Catalan, my native language, four in Spanish and four in English. The songs in English refer to the International Brigade. I was able to learn more about the Spanish Civil War while living in London than I could in Spain, because it's still a taboo subject there. Many Londoners lived this exile and can testify. I wanted my project to cover every aspect of the exile. We recently heard you singing in two scores composed by James Newton Howard (Snow White and the Huntsman, and Hunger Games). Can you tell us about this collaboration? 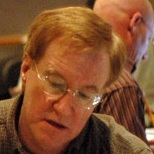 I first worked with him on Hunger Games, during a session with different singers. He was looking for someone who could sing with a Bulgarian voice, as the mood suggested, and I told him: “I am not Bulgarian and I can't do this, but I can offer something Andalusian, with ornament”. My participation was short, since my voice can be heard as a helicopter is flying over a mosque, hence the ethnic aspect. A few months after that session, I was called again for Snow White and the Huntsman, where this time I was to work on the entire scene when the kiss brings Snow White to life again. My voice can be heard right at the moment when she awakes. On the first time, I just met James Newton Howard briefly. On the second time, we had enough time to speak and he listened to me singing on the phone from Los Angeles. You've been taking part in the Lord of the Rings tour since last summer. What can you tell us about this experience? The tour is still going on. At this moment, I am on the way to Dublin, and by the end of October I'll be in Australia. 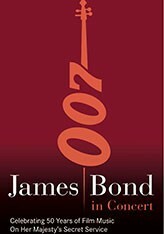 The ending songs of the three films are sung by female voices. Enya performed the first song, Emiliana Torrini the second one, and Annie Lennox the third one. Truly, singing the songs of such great artists along with a Symphony Orchestra is a great pleasure. On the soundtrack you can also find songs with more classical voices like Renée Flemming's, which is a big challenge because the singer must be able to sing either classical or pop music. It really suits me and I'm having a lot of fun. The first performances in Lyon were warmly received. I hope to be able to do this again next year. 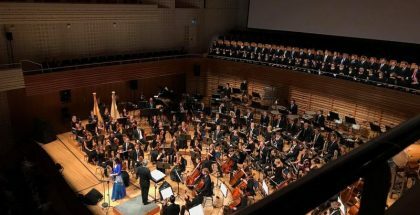 Can you tell us a bit more about the concert named “50 Years of Film Music in Her Majesty's Secret Service”, which will take place in Switzerland at the beginning of October? 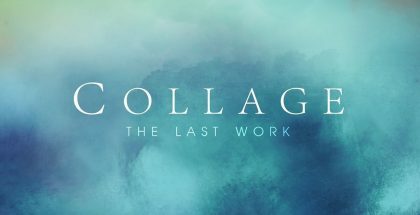 It's a project from the same conductor as the one for The Lord of The Rings (Ludwig Wicki), who wants to carry on his work with James Bond music. I should be singing ten songs. 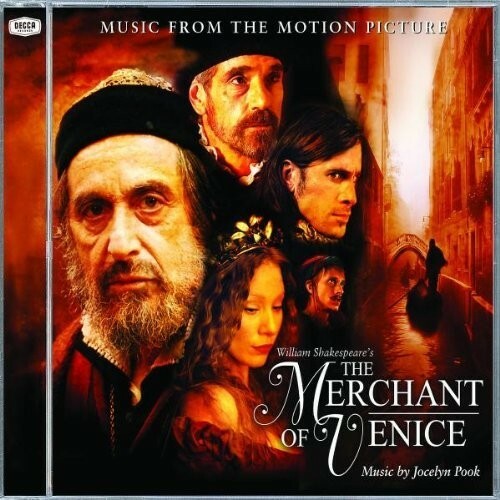 In 2004 you worked with Jocelyn Pook for a film (The Merchant of Venice). Some of your songs were used, and you played many instruments. What did you get out of this experience? It was especially interesting because it wa s the first time I worked on a film music project. Jocelyn being a friend of mine, she knew that I was specialized in ancient music. And since she needed someone to guide her and give authenticity to the orchestration, she called me to work with her. Following this, I had to sing a song for a scene which needed a more classical approach, so I was able to choose what I wanted to sing. I turned to an old song by composer Luys de Narvaez, and I changed the lyrics so that they could fit in the film. You can see me singing along with Al Pacino for a second and a half. It was very exciting to be faced with such an actor. The studio was a huge warehouse in Luxembourg, where they built a full-size Venice replica, with an artificial floor. You just had to open the door to the warehouse, and you ended up in Venice! Do these many incursions into film music make you feel like keeping on this way? Will you be working on some more projects? Of course! I would love to do more film music, and I would love to work with James Horner again, even if my own music is, to me, the most important thing. By the way, I was chosen for the Lord of the Rings precisely because I had sent my own album. I felt very proud to be able to send my own album. I think it's very important for me to keep on working in these two fields, because without my own projects, people would not listen to me so much, and that gives me strength. 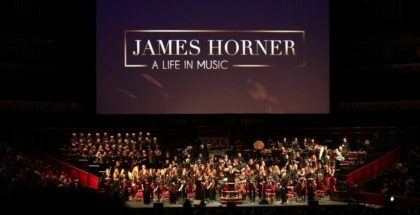 It was probably not by chance that you met with James Horner, a man who stands out as a composer because he always wants to use the heritage of music, and the transmission and fusion of influences through his own style. Do you think that, in a way, you share his approach to music? Most definitely, yes. I think there was an immediate connection between us. I don't really know him as a person, but I can see something inside him and his music that really looks like me. It's a great gift, for us musicians, to be able to make music with someone who shares such a wonderful feeling with you. If you had to sum up the music of For Greater Glory in a few words, what would they be? Our greatest thanks go to Clara Sanabras for the time she shared with us. We really hope she will be singing soon again for James Horner.